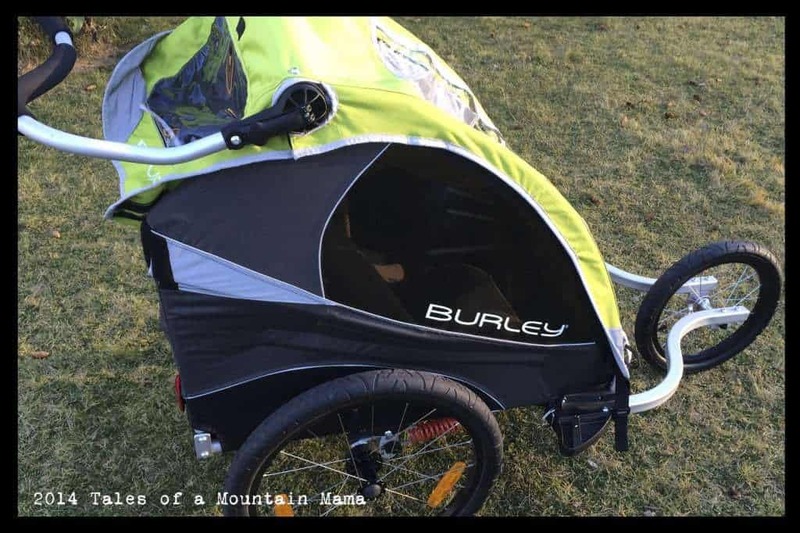 Burley has been a household name in child-carrier bike trailers for over 35 years now. They build a full line of trailers to meet the needs of families worldwide starting with their budget-friendly Bee and ending with their deluxe D’Lite trailer. Per our request, they sent us a D’Lite model to test out this summer. We wanted to see what all the hype was about. The D’Lite works not only as a bike trailer (it comes standard with a tow arm, hitch and safety flag for biking), but also converts with different accessories to jog, stroll and ski. It has a large “cab” space that accommodates 1-2 children with bowed out sides for more shoulder room. 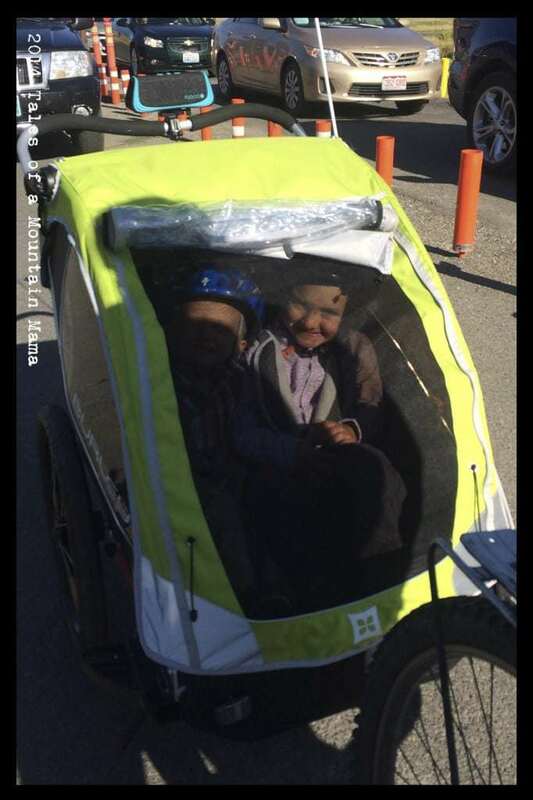 The trailer weighs 28 pounds (comparable to a single jogging stroller), and has a max capacity of 100 pounds (kid + gear). 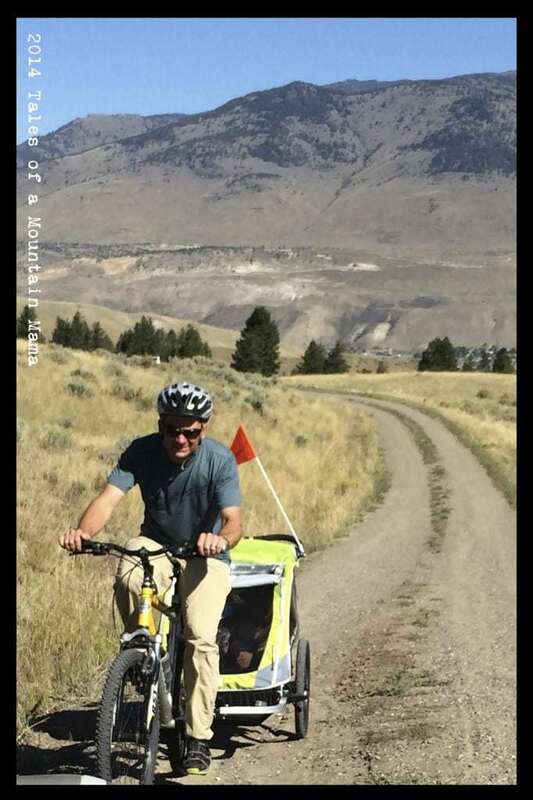 The Burley trailers are unique because the seats can easily be unclipped from the top of the trailer to convert it into a cargo-hauler for kid-free errands. While we haven’t used this feature a ton yet, it makes the trailers so much more versatile for long-term use. The D’Lite also folds down quickly and easily for storage and travel. While the angle is really not adjustable except by tightening and loosing the straps shown in the photo above, the seats are reclined just a bit for greater rider comfort. The back of the seats also have an open space for the back of helmets to fit through so they aren’t pushing little heads forward. Since most children fall asleep to the lull of a trailer ride, this is an important feature. Note: it’s almost impossible to have a baby wear a helmet in the snuggler…but most helmets are not recommended for use until 1 year of age (where a child would outgrow the Snuggler anyway). Finally, the cover of the D’Lite opens up via their waterproof zippers for use in good weather (while still keeping the bugs at bay). 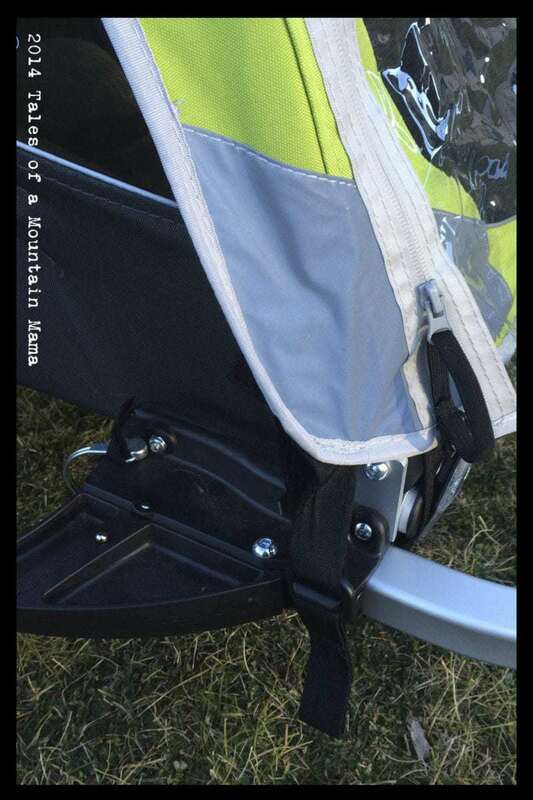 The retractable sunshade moves up and down for all heights of riders, and is flexible to allow a little adjustability between a small child and a taller child riding together. Our thoughts: We’ve put this trailer through some serious paces over the past 2 years. To be perfectly honest, I’ve gone back and forth on my opinion about it. 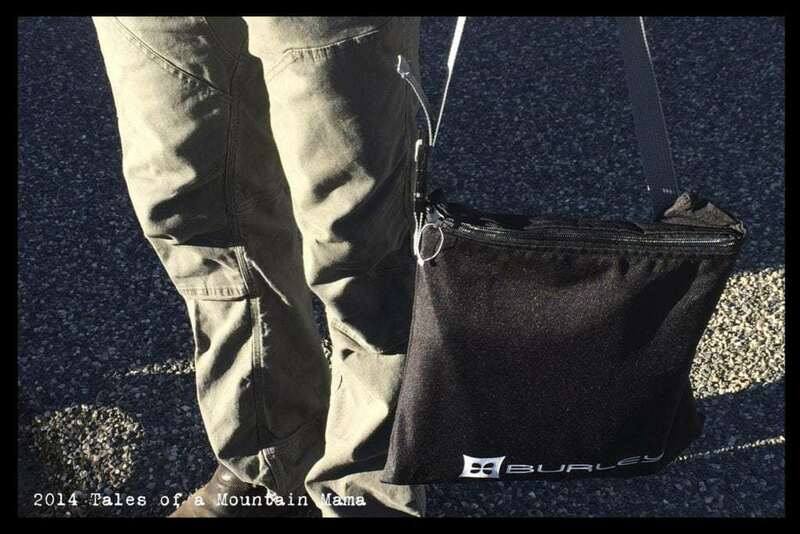 It’s easy to compare it to what we already know, so I’ve spent a lot of time in contact with Burley’s (excellent) customer service, asking questions and making sure I knew the D’Lite inside and out. Spoiler alert – it’s grown on me considerably. The D’Lite excels at comfortably carrying larger children (J, at 5.5 years, fits in it well- better than any other trailer he has been in) and being available as an all-around excellent hauler for many years even after your children outgrow it. 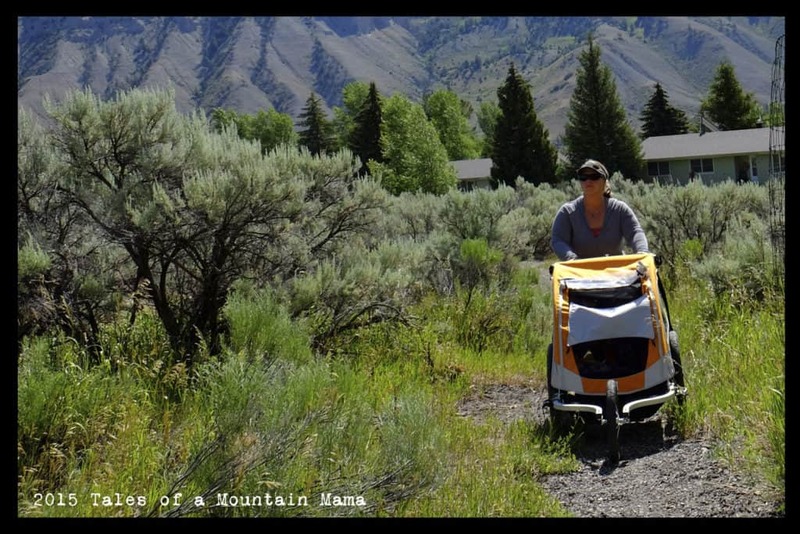 It rides and follows smoothly – so much that a fully loaded trailer (50lb. child + 20 lb. child + gear) is totally doable to tow. 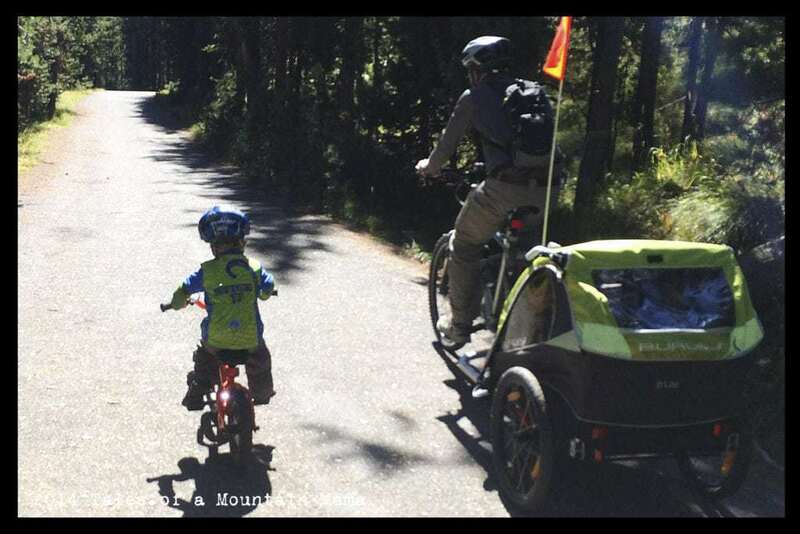 People often ask if we notice any pull from the heavier side, especially when just one child is in the trailer or the difference between the riders is significant. The answer is that I really don’t. A good, quality trailer will pull the same no matter how the load is distributed. The D’Lite has a great suspension system that keeps riders comfortable, even on less-than-smooth roads. While many of the roads are paved in our area, we choose to ride on the older gravel roads especially in the height of the summer to avoid the tourist traffic. 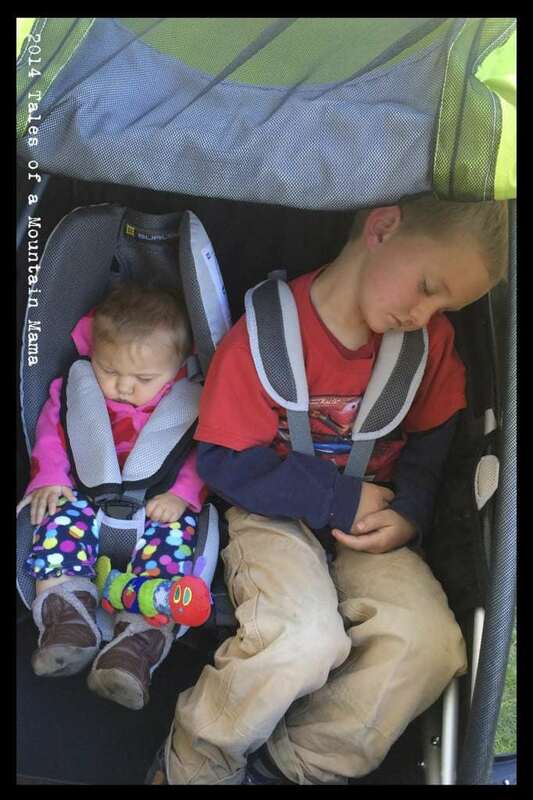 I’ve repeatedly asked our kids if they are comfortable in the D’Lite and have always been assured they are. **See update on this section below for the 2016 model** We’ve also been using the Baby Snuggler($75) with L. Recommended for kids aged 6-24 months, it’s a great accessory to keep kids snuggled, as the name implies. NOTE: in 2016, Burley updated their recommendation to starting at 3 months. 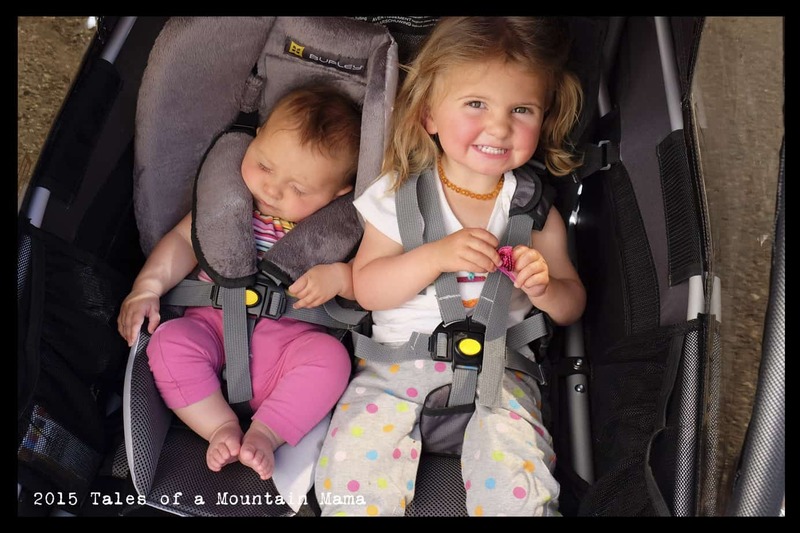 It also provides a bit of a barrier between riders if you are hauling more than one child (which our kids tend to like). Usually that number can be fudged a bit (shhhhh), but this is one trailer I would not do so with. The Snuggler snuggles and supports the child in a seated position. With any baby less than 3 months (and I personally would probably wait until 4 months) and sitting on their own, I would worry about them not being able to breathe properly since it is possible for them to slump a bit. NOTE: Burley does not recommended biking with any children in the trailer under 1 year old. It is one reason that they don’t make it possible to use the trailer with babies – keeping safety in mind and of the utmost importance. I have to say that as a disclaimer, but will also admit that we have never complied with that rule and bike with our children as babies (on smooth, low traffic roads). The reason being is that babies cannot wear helmets until they are a year old, when their necks are assumed to be strong enough to safely hold up the extra weight. I’m not recommending that is what YOU do, but like to be transparent here. Personally, we believe that the trailer provides excellent protection for the child if we were to crash (though, again, would keep it away from the potential of being hit by traffic). In 2016, Burley updated their snuggler with a softer fabric. They also dropped the recommended age to 3 months, as mentioned above. The new fabric is much softer, but I also think that babies get hotter quicker in it. In the photo above, L is 6 months and on the small size. In the photo below, Baby M is 4 months and very average size. She seems to fuss more in this snuggler than in, for example, an infant sling in another trailer. My theory is that the straps bug her ears. I think this will get better as she gets older and taller, but it is definitely an issue for us, depending on her attitude for the day. I have tried to have her sit taller, etc. and just haven’t had great success. I also agree that their recommendation for 3 months is for sure the minimum I would be comfortable with also. 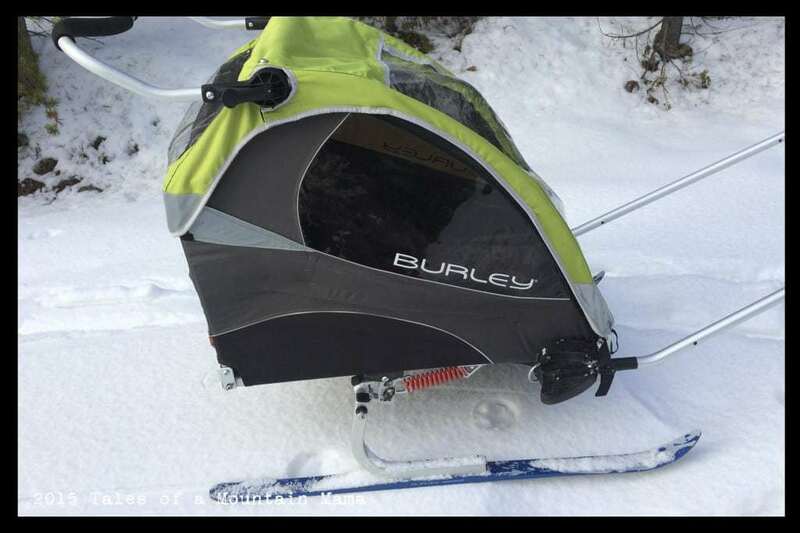 Burley’s trailers now come standard with their new S.I.T seat technology (available in 2015) that will keep straps available and do away with searching for them behind kids. It is AWESOME for sitting kids down and not having to search for straps. The photos below show the S.I.T. seat technology in use and then waiting for a rider. The handlebar doubles as a roll bar (when in bike mode) and is completely adjustable. This means it works for any height of pushers and different needs. We LOVE this feature, and it is unique to any other similar trailers. The trailer hitch (where it hooks onto your bike) is one other area I would love to be improved. There is a pin that goes through a hole in the hitch and you have to look at it carefully to be sure the pin is going in correctly. Not a huge deal at all when you are by yourself, but a bit of a hassle when you have kids that are anxiously ready to roll. In 2016 they did improve the mechanism for receiving the trailer hitch into the Burley (see photo below). It was another area where before you had to make sure things were lined up well in the previous model. Now, you slide it in, a locking button stops it where it needs to be to receive the bag pin and then the “leash” attaches easily. Kids are definitely protected from the weather in the D’Lite, but I wish it had more options for airflow in the warmer months. There is a small vent in the back and then front can be completely open, but I think the option to open the back window completely and open at least a vent on the side windows would help considerably. You CAN open up the back of the trailer, but it then exposes the children to bugs, etc. (that a sccreen would normally protect them from). Burley makes the statement that the reason they don’t have side windows that open is because the drag that would be caused by the wind flowing through the trailer would make it not only really hard to tow, but also hard to navigate. Wind drag on a trailer can make it feel like you’re pulling a significantly higher amount of weight and can increase the risk of tipping the trailer on a turn. While we understand the concern, we haven’t had that issue with other trailers that do have windows that open, so can’t speak on it personally. I really love the amount of storage behind the kids and the small mesh pocket that hangs at the opening to keep smaller objects from being lost in the larger cavity of space. I mostly put water bottles there, but also put my keys, money and snacks I would like to keep handy. There are also similar mesh pockets available for the children who are riding that are excellent. 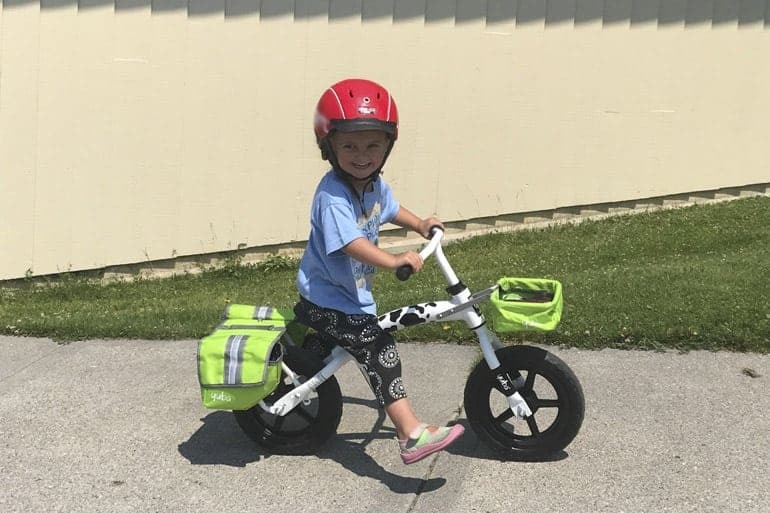 Numerous times I have been able to put a balance bike in the back “trunk” along with the rest of our gear and haven’t felt like we needed more room. Finally, where the arms for the different attachments (biking, jogging) attach to the trailer actually double as “wheel guards” (both in the older and newer models). This means when you misjudge a corner or turn, they protect the tires. Another great feature. For storage or travel, the trailer folds down very flat and is light despite the room interior. This is what it looks like folded down with the jogging, strolling and biking attachments inside. The wheels come off very easily so getting the trailer to this position takes less than 2 minutes. For Winter Use with the We! Ski Kit ($275) **Updated in 2015**: We’ve used the Burley for skiing numerous times this winter, despite an overall lack of a ton of snow (gah!) and feel as though it handles well in colder conditions and for skiing. The skis go on and off with the push of a button (replacing the wheels). 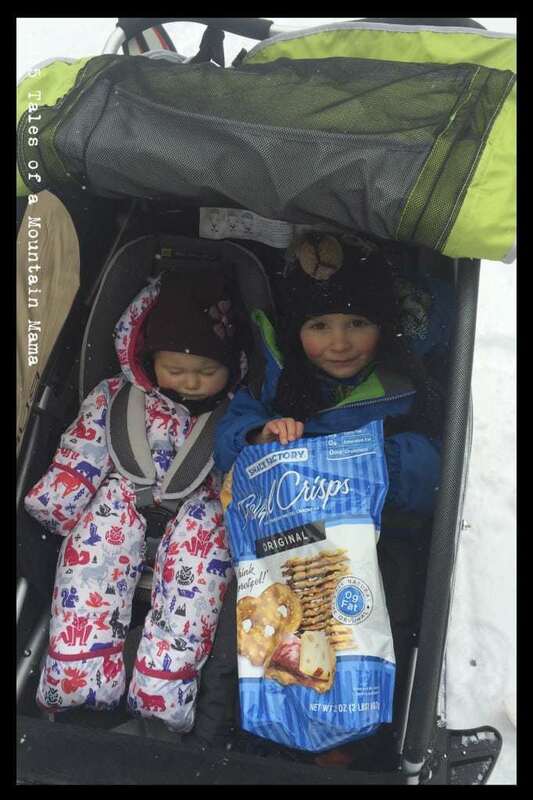 The kids are well-protected from the elements and the plastic covering performs well, even when cold (no cracking, remains pliable, etc.) The We! Ski Kit comes with high quality skis, the bars and waistband for pulling it behind you. While the price is high, it is comparable to others on the market and will last for the life of the trailer. 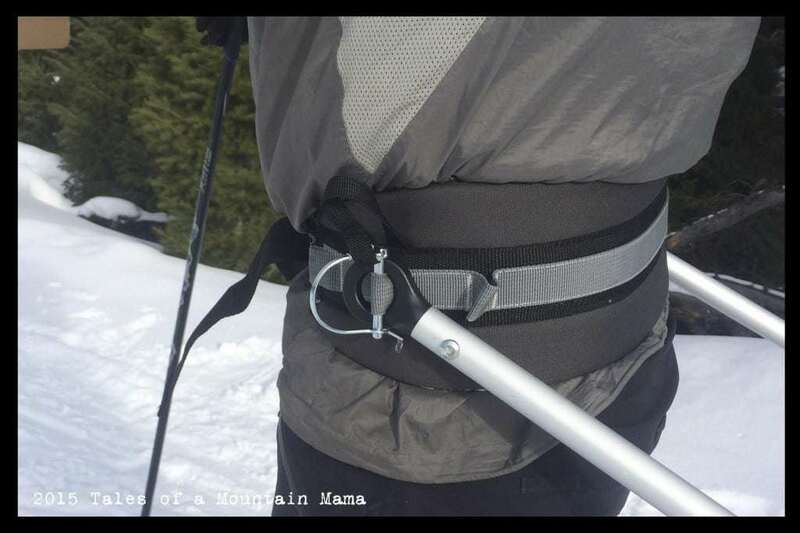 UPDATE: We actually had a major issue with the pull bars pulling out of the waist band after this original review posted in 2014. We contacted Burley and were assured that there was an update being made to the system. We also found that it was somewhat common issue (hence the reason they were working hard to fix it.) As promised, we received an updated Ski kit in the winter of 2015 and feel as though all issues are fixed. 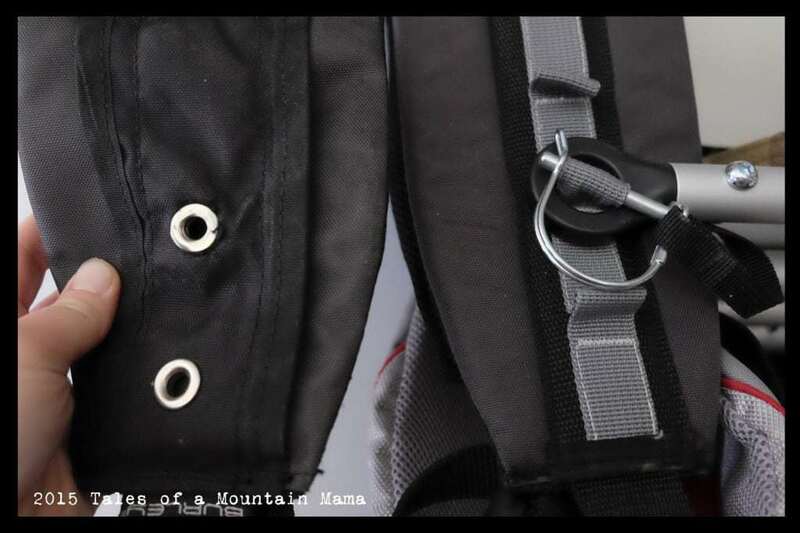 You’ll note in the photo below that bars pull bars are held into place on the waist band with pins. Previously they were screwed directly into the waistband, which is where it failed (not fun when you’re miles out and have to ski back). The new waistband is significantly better. See old (left) vs. new (right) below. Our only gripe is the water bottle holder that was in the old one (mesh) wasn’t included in the new one. Maybe a future update? We occasionally wax our skis, but don’t think it is particularly necessary. The We! Ski Kit is for use primarily on groomed trails. Ungroomed trails can be difficult to maneuver because the skis are skinnier. 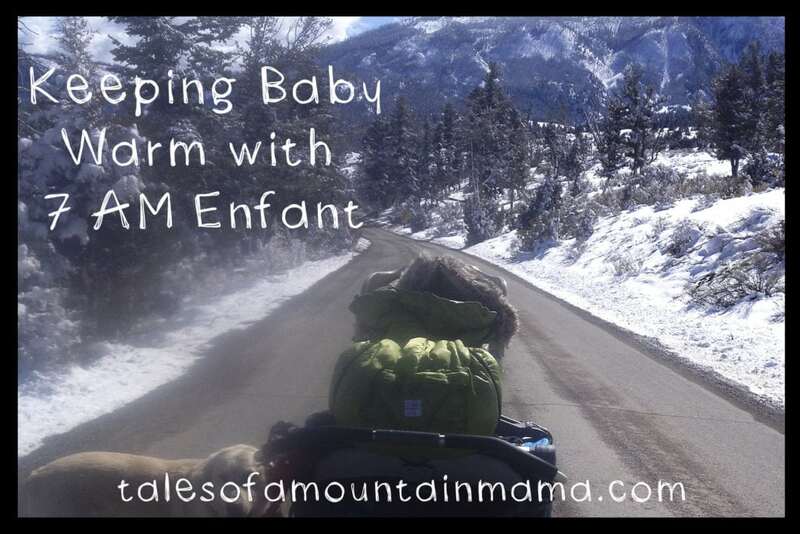 If you live in an area with skiing available and love to do it, this is an excellent way to be able to get out as a family and have a place to pull children and/or have a back-up when they get tired. We love the fact that the D’Lite has a large enough “trunk” to allow for the extra and bulkier gear you need to carry for colder excursions. The Quick Run-Down. . .
– Great open space which is perfect especially for carrying bigger kids, without compromising its weight and sleek design. The bowed-out sides make a significant difference. 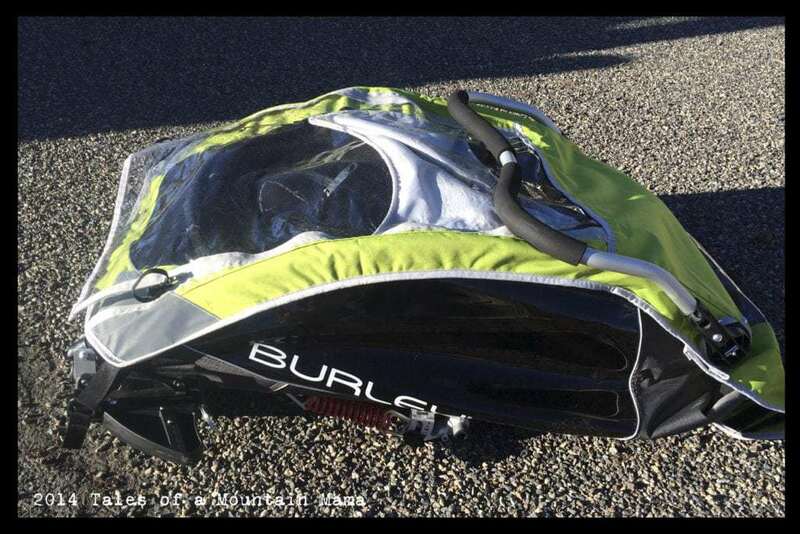 – The sunshade is easily adjustable for keeping kids out of the glare of the sun, and can even be tweaked a little to accommodate different sized riders and changed as the sun goes down, etc. – In the hotter summer months, the airflow isn’t ideal. I would love to see the option of being able to open the side windows and the rear window. – When you are spending this kind of money, I’d love the ability to be able to use it to stroll with younger babies. The D’Lite is versatile, but limited since it can’t be used for the first 6 months (or 3 months with the newer Snuggler model). The Burley D’Lite is an excellent trailer that excels at towing kids ages 6 months (or 3 months with updates) to ~6 years and cargo for many years after that. It is the kind of investment you make and then keep for 20 years for your own use and then to be passed on to other families (or your own grandchildren). 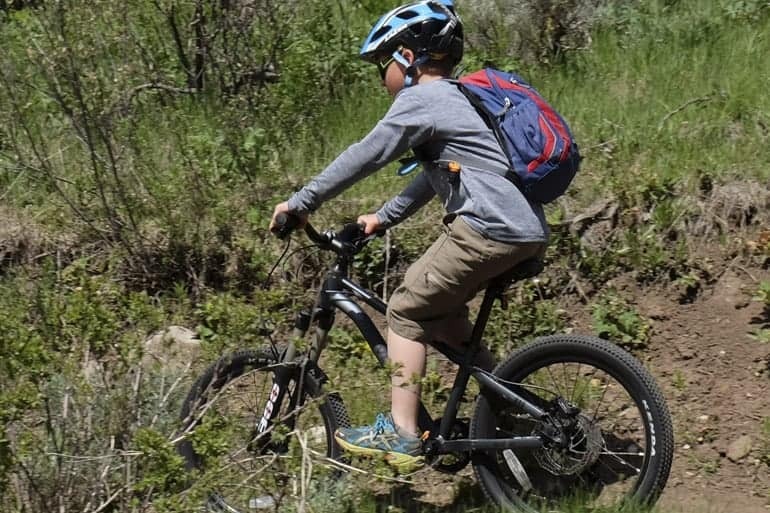 While there are some small improvements I would like to see being made, in general the trail pulls smoothly, keeps kids comfortable and safe, is made of the highest quality materials and has adequate storage for an active family on the go. Q- Thanks a lot for all these detailed reviews. I actually haven’t found something similar, because many do not compare models from different brands. 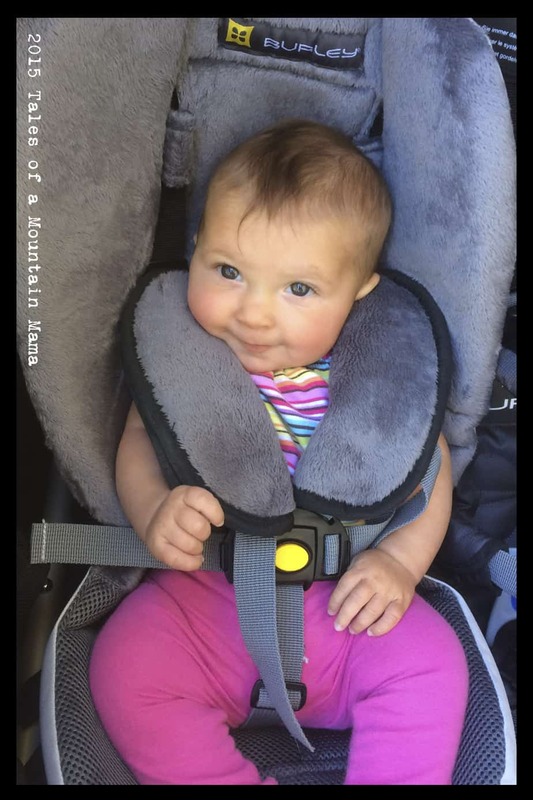 Having said that, my question is pretty simple (but maybe not the answer): I’m looking for a solution to transport our 6 month old daughter mainly for biking and running, and running in our case means often non-paved roads. So what do I take, CX 1/2 or the D’Lite? A- Since you plan on running I would suggest the CX just because you CAN run with the Burley D’LIte, but the CX is a much better runner. Does that help?? And glad the reviews are helpful to you!!! Q- If you could only have one carrier between a chariot and a burley, which one would you pick? This is our first child, but planning on at least 2  Hoping to walk/Run, Bike and Ski. Living in Calgary Alberta so while we don’t get super hot summers, we do get all sorts of variations in the winter (dry cold, to wet mild temps), and some pretty wild summer storms. A lot of my friends have the Cougar 2, but have yet to see a Burley around! Also any considerations on new vs used? And which Thule to get!! Is there really an advantage to paying more for the CX? or just stick with the Cougar? 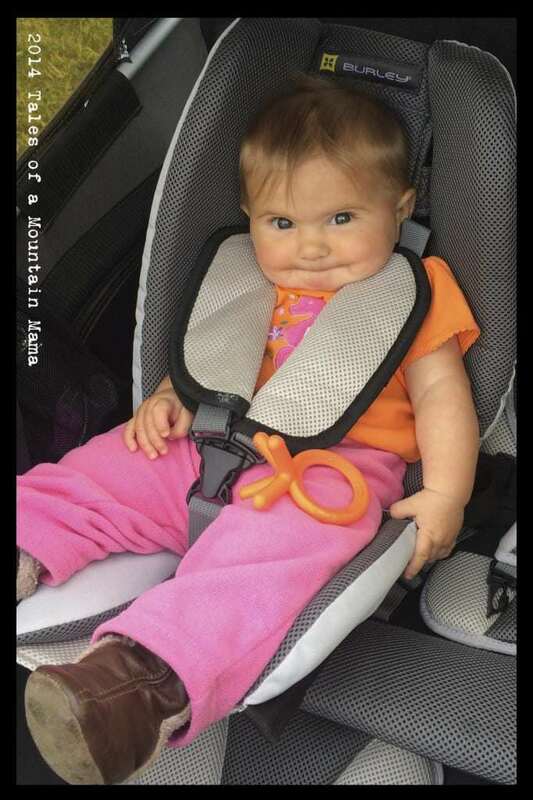 A- Personally I would go with the Thule because the infant sling on it is far superior to the Burley snuggler…in my opinion. 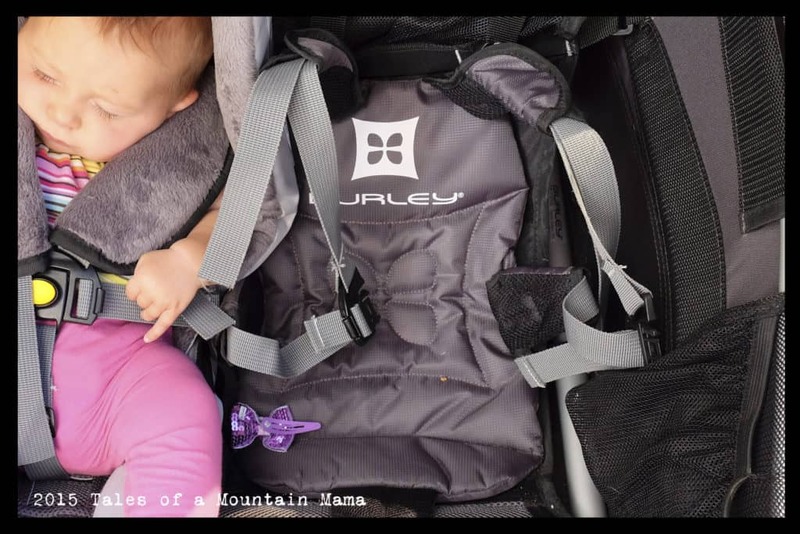 Both are GREAT strollers and you wouldn’t be disappointed with either…but my kids go in the Thule infant sling for walks in a matter of days after birth. Definitely start with a double. The more room for gear, etc. You won’t regret it. 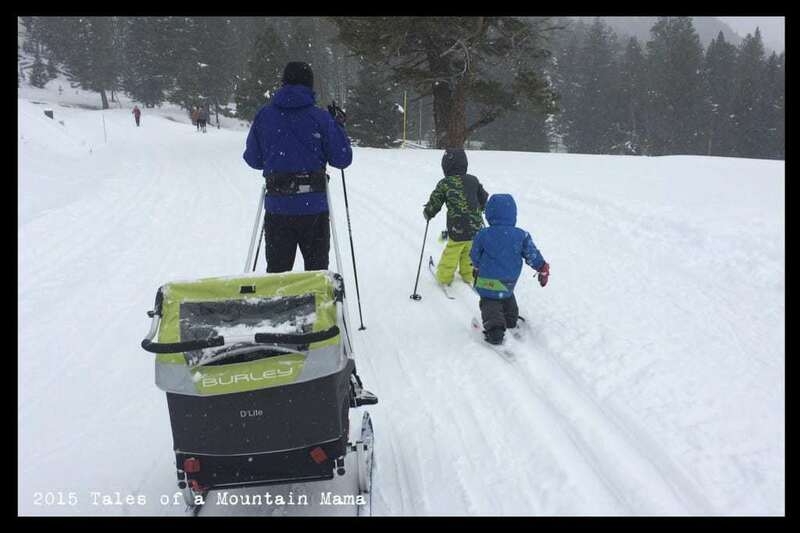 Q- Does the ski attachment work to push the ski cart as a stroller? 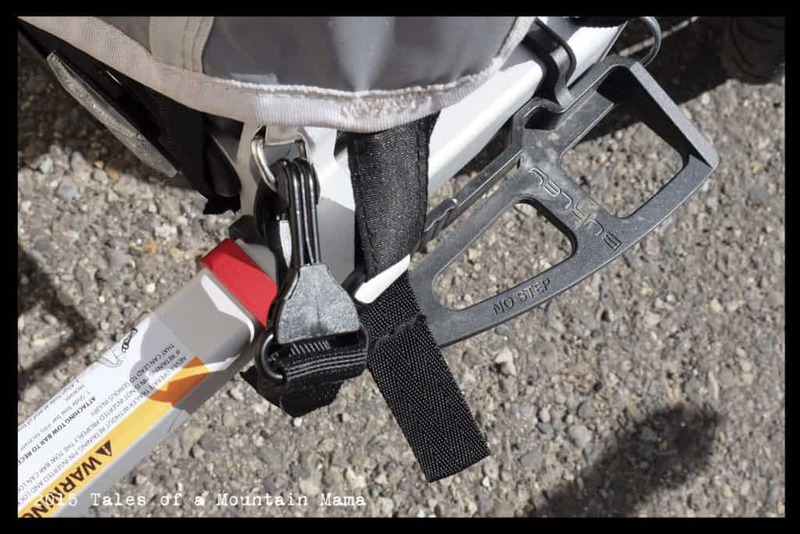 Or do you have to have your own adult skis in order to use the ski attachment? Q– I’m trying to decide which trailer is right for me. We are headed to Asia and are looking for a rain proof/can handle the heat trailer for our 3 year old aND 6 year old. Has anyone else noted thar the d light needs more air flow or had issues in the rain? Or seems to be the only one suitable for older children. A– I guess it depends on how big your 6 year old is. The D’Lite is good for bigger kids and does have good air flow. 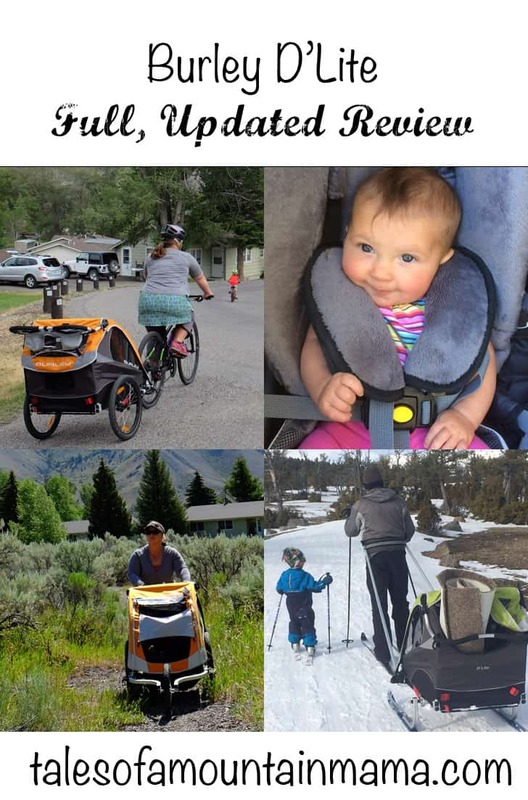 The other one I would recommend for bigger kids is the Croozer, but the airflow isn’t quite as good and it’s a bit heavier…..
Q- I was convinced that the Burley D’lite was the right fit until I started reading reviews about the jogger. My plan is to use it for running 5 times a week and 2-3 times for biking. I keep on reading that it’s hard to make turns with it when jogging. Any guidance? 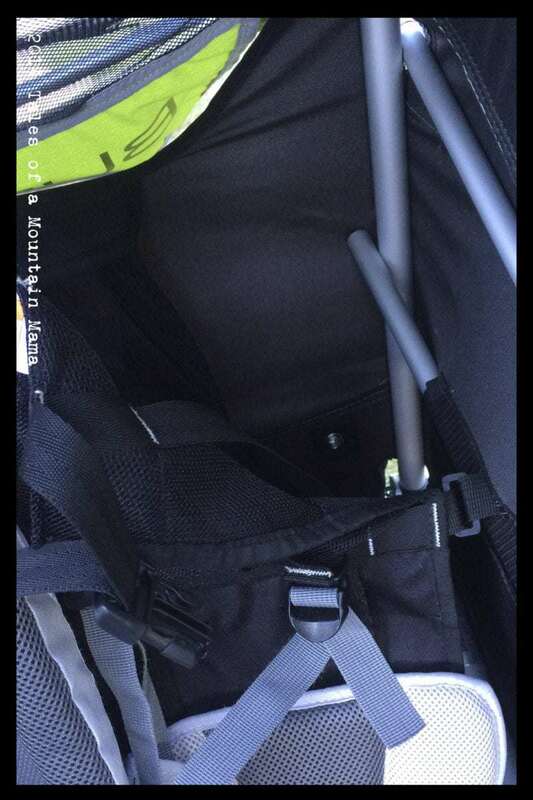 A- It could be…just as much as any fixed-wheel jogging stroller. The only thing I would advise is making sure the handlebar is screwed tightly. If it is not, it slips and that makes jogging very hard (but it’s an easy fix!) Both the Burley and the Chariot Cross are great cross-overs for biking/jogging. 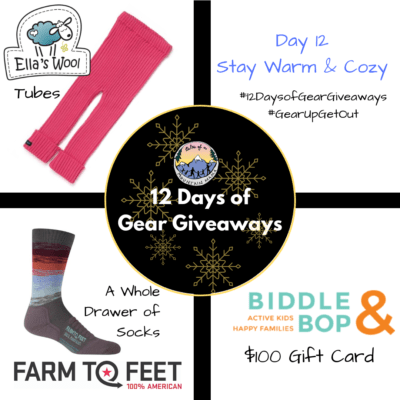 Q- We are new parents with a 10 month old and do have plans to expand our family another child in the future so we’re looking to gear up our outdoor equipment for the long term. We have intentions for start using this for biking and looking to expand the uses from that point. Is the jump from the Burley Honey Bee to the D’Lite worth the extra money in features and longevity or is the cost difference really in the features and both would last equally as long? A- I think with longevity and quality you’ll be fine with either one! I have not used the Honey Bee though, but I have been super impressed with the D’Lite! Burley generously provided us this gear in order to facilitate this review. However, as always, the opinions expressed here are completely and honestly our own. The link to REI above is an affiliate link that benefits our work in a very small way – thank you for clicking through to purchase.